Could You "Finish" World Of Warcraft Without Killing Anything? Here's an exercise in patience: a World of Warcraft player has managed to reach the maximum level 85 without killing a single thing. For a game built around the idea of, well, killing things, that's quite the achievement! 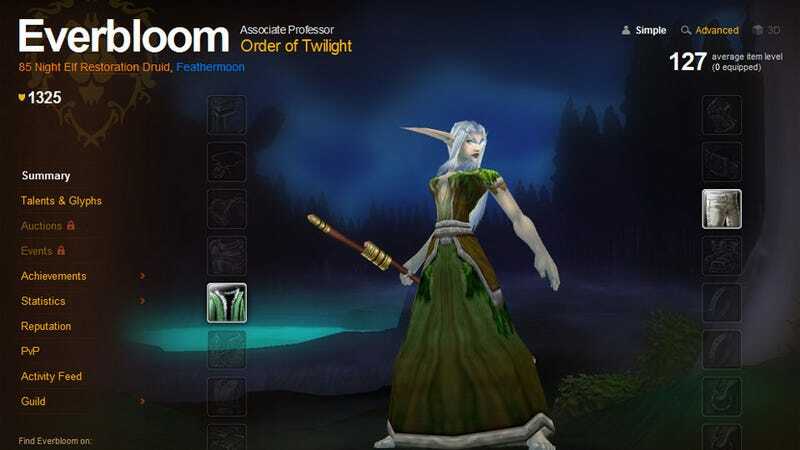 Taking advantage of a loophole of sorts, player Everbloom has spent the last five months picking herbs, digging up bones and simply exploring the wilderness of Azeroth. These little tasks are known as "Professions", and are seen by most as a tedious, unrewarding way to go about accruing experience points in the game. If you like to explore, and enjoy a challenge I really REALLY recommend this, I have been playing since day 1 on other characters and I even have an original Loremaster (you know, back when it was hard) and I saw so MANY new things with Everbloom that it really made it worthwhile for me to continue on with this character, and each level was a major achievement!